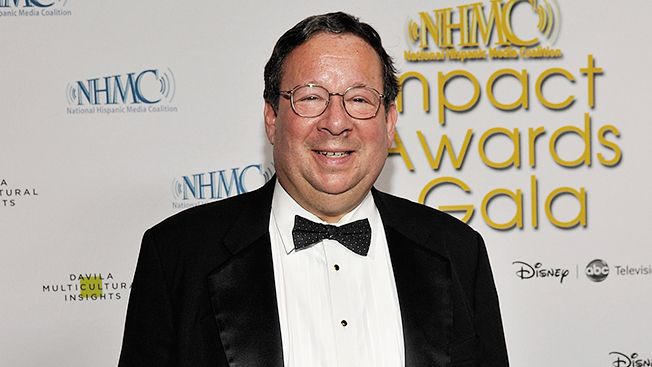 David Cohen, Comcast's evp and unofficial top lobbyist, is ready to take on any objection to the company's proposed eye-popping $45 billion bid to buy Time Warner Cable. In an interview for C-Span's The Communicators, airing Friday and Saturday, Cohen's political skills were on display as he defended the transaction—which will put Comcast in 20 of the top 25 markets—as "not scary" even as he admitted it would be big. The interview was a warm-up for April 9 when Cohen will appear before a Senate Judiciary Committee hearing on the deal. In broadband, the combined company will have close to 40 percent, but when you factor in wireless, that drops to 20 percent, Cohen noted. "Consumers will have the same choice after this transaction as they have today," he said. When asked about the growing levels of opposition against the merger, Cohen brushed it off as if swatting a fly. "In any media or telecom transaction in the last 20 years, there's always been opposition. It tends to come from the same people, that any time there is consolidation the sky is going to fall in, the world is going to end as we know it, the Internet is going to end as we know it. Those predictions have largely been discredited and disproven in multiple transactions. They're equally untrue today," Cohen said. Big, Cohen argued, is not necessarily bad. "Sometimes it's really necessary and really important when you need investment and research and development. The rationale for this transaction is all about scale," said Cohen, who added Comcast needs scale to compete with DirecTV, Dish, AT&T, Verizon and, yes, Netflix. "They all have geographic reach. This transaction is about increasing competition. That shouldn't be scary to people." Cohen also had a few choice words for the argument made by Netflix CEO Reed Hastings in a recent blog post about its recent peering deal with Comcast. "His argument, with all due respect, is essentially hogwash. It has nothing to do with access to the Internet. It has nothing to do with net neutrality. The transit market is intensely competitive; there are 40 companies selling access to our pipe and our broadband," said Cohen. "It was Netflix who wanted to cut out the wholesaler." Though he wouldn't comment about the rumored talks with Apple, Cohen used the example to make another point about why Comcast needed more scale. "This is another example of how intensely competitive and evolving the multichannel video market is. This would be a new competitor that isn't there now. It underscores why there shouldn't be any material concern about the Comcast-Time Warner transaction because there is more competition coming down the road," said Cohen. The deal has yet to formally hit regulators' desks. Cohen said he expects to file with the Department of Justice and the Federal Communications Commission in mid-April.